The Canadian Public Health Association and leading pediatricians and immunologists are calling for a national immunization registry and harmonized vaccination schedules so no one risks missing a vaccine because of where they live. Currently, while the National Advisory Committee on Immunization (NACI) sets a “minimum” recommended schedule, each province and territory determines which vaccines it will fund and when they will be given. But different provincial vaccine schedules across the country create inequitable access, safety issues and confusion among parents and health care providers. While health care providers struggle to stay abreast of the different immunization schedules for each province and territory, mismatched schedules leave information gaps that neither parents nor providers can fill. It should be easy for parents and health care providers to know whether a child is on track with their immunizations. 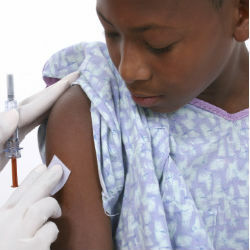 Instead, it can be difficult to determine whether a child’s vaccines are up-to-date. To read more about the Canadian Public Health Association, please click here .